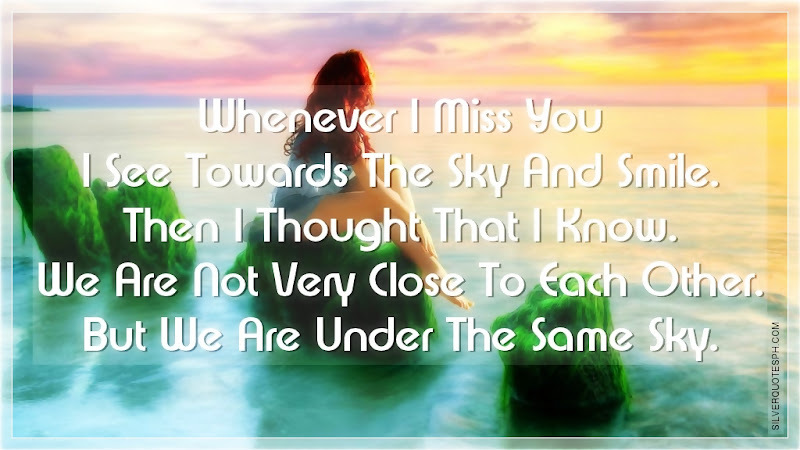 Whenever I Miss You I See Towards The Sky And Smile. Then I Thought That I Know. We Are Not Very Close To Each Other. But We Are Under The Same Sky.